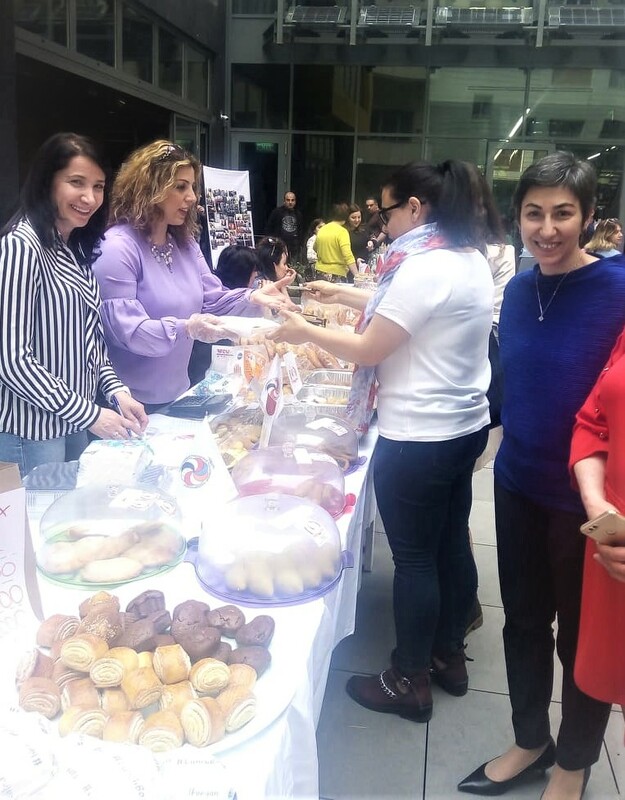 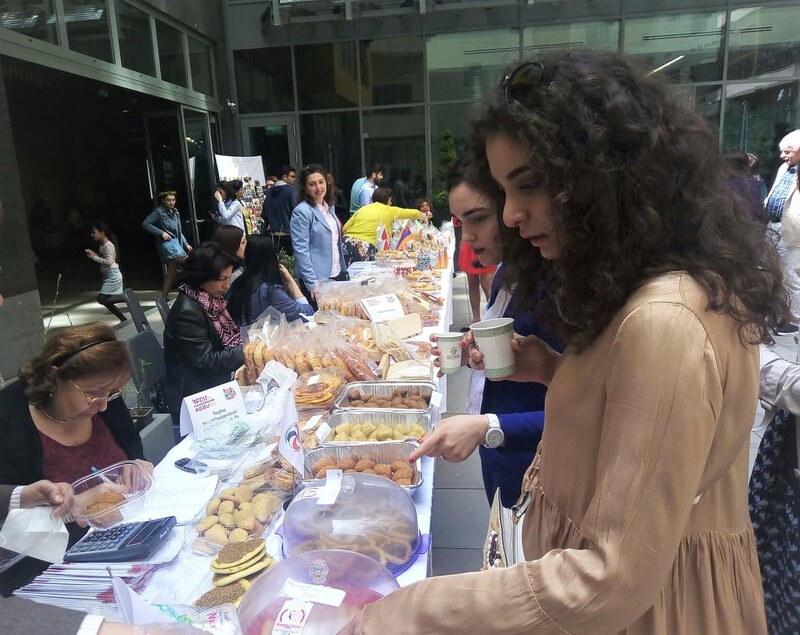 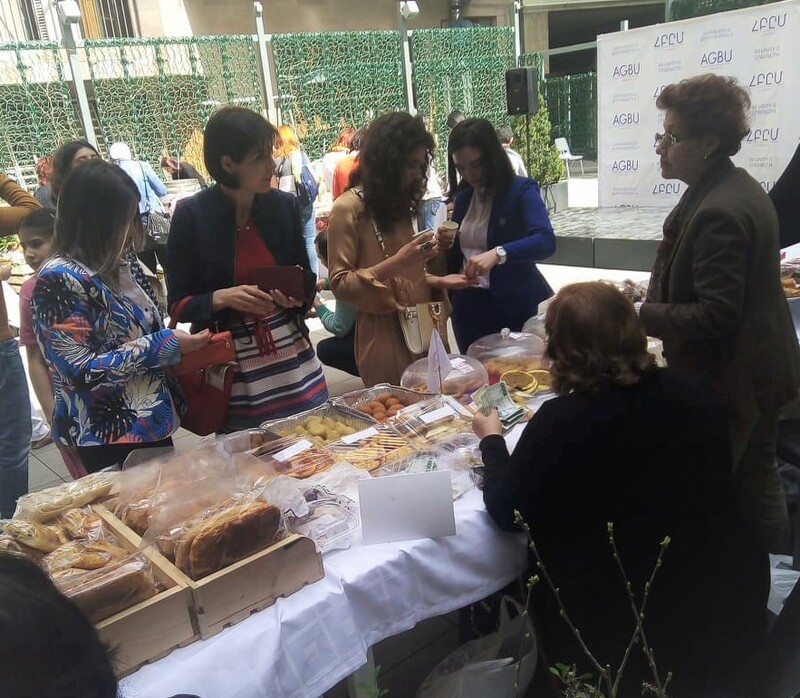 On April 14, the Aleppo Cuisine Center, established by the Aleppo Compatriotic Charitable Organization (Aleppo-NGO), took part in the celebration and the exhibition and sale of Middle Eastern dishes to mark the 113th anniversary of the Armenian General Benevolent Union. 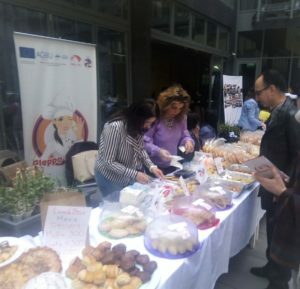 The center that just opened five months ago, serves as a workshop providing both catering and takeaway food services. At the celebration, the Aleppo Cuisine introduced a wide variety of goods including Middle Eastern meals. In response to a high rate of unemployment rate amongst the displaced women from Syria, the Aleppo Cuisine Center successfully provides women with jobs and stable incomes, while also assisting their integration in the economic and social life of Armenia. The proceeds go both to provide Syrian Armenian Women with stable incomes and to ensure humanitarian financial aid to Syrian refugee families in need. 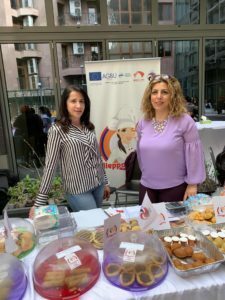 The Aleppo Cuisine Center also organizes culinary courses that are funded by the AGBU and the Eurasia Partnership Foundation.